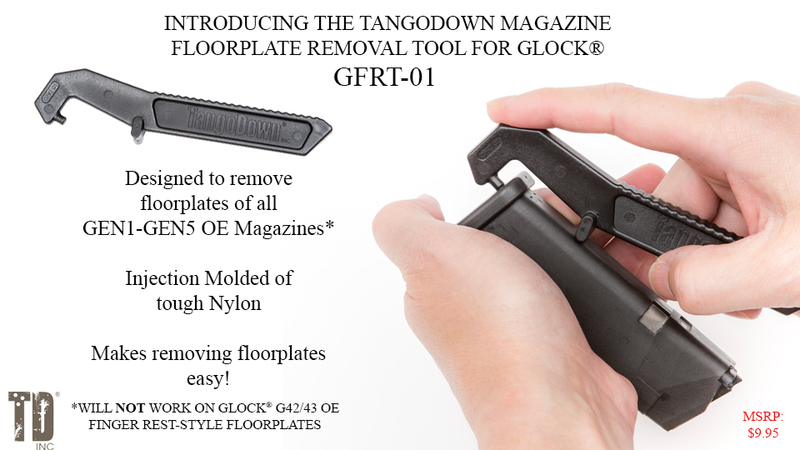 TangoDown® Inc. introduces the Magazine Floorplate Removal Tool for GLOCK® (GFRT-01). Disassembling GLOCK® magazines isn’t always the most enjoyable task and the GFRT-01 was developed to make the process easier. Despite the reliability of GLOCK® magazines, they still require maintenance to maintain their longevity. The GFRT-01 removes floorplates on GEN1 through GEN5 GLOCK® factory magazines. The tool allows for proper leverage to remove the floorplate without damage. **Does NOT work with G42/G43 OE finger rest floorplates.